Termites cause more damage to homes than all other natural disasters combined. While a structure may become infested at any time, presence of termites is of particular importance when buying or selling a home since a termite inspection/infestation report is normally a condition of sale. Answers to some of the most commonly asked questions about termites and termite control are provided below. Q: Why are most termite problems discovered during March - June? A: Spring is typically when large numbers of winged termites (known as "swarmers") emerge inside structures. This, along with other signs of termites noted during real estate inspections is what usually triggers the initial concern of homeowners. In nature, termites swarm in order to disperse and start new colonies. After a colony reaches a critical size (typically requiring 5-8 years), winged reproductives are produced. In response to warmer temperatures and rainfall, the winged termites emerge from the colony and fly into the air. The swarmers then drop to the ground, shed their wings, pair off with a mate, and attempt to begin a new colony in the soil. Winged termites emerging indoors are a sure sign that the building is infested. Very few swarmers emerging outdoors survive to initiate new colonies. Termite swarmers emerging inside a structure almost never survive -- but indicate that an infestation is present. Swarmers and their shed wings can be removed with a vacuum cleaner. A: The presence of winged termites inside a home almost always indicates an infestation warranting treatment. Termite swarmers are attracted to light and often will be seen around windows, doors and light fixtures. They can be differentiated from winged ants by their straight antennae, uniform waist, and wings of equal size. Ants have elbowed antennae, constricted waists and forewings that are longer than the hind wings. Swarmers emerging from tree stumps, woodpiles, railroad ties and other outdoor locations are not necessarily cause for concern, and do not necessarily mean that the structure, itself, is infested. Another indicator of a termite problem is pencil-wide mud foraging tubes extending over foundation walls, support piers, sill plates, floor joists, headers and subfloors. Termites construct these mud "shelter" tubes as they travel between their underground colonies and the structure. Termite-damaged wood is usually hollowed out along the grain, with bits of dried mud or soil lining the feeding galleries. Wood damaged by moisture or other types of insects (e.g., carpenter ants) will not have this appearance. There will often be no sign of the termites themselves -- small, creamy-white insects with an "ant-like" appearance. An infestation can go undetected for years, hidden behind drywall, paneling, floor coverings, insulation, and other obstructions. Termite feeding(and the resultant damage) can even progress undetected in wood that is exposed, because the outer surface is usually left intact. Confirmation of infestation often requires the keen eye of an experienced termite inspector. However, even the most experienced termite inspector can overlook damage which is hidden. A: Ridding a home of termites requires extensive knowledge of building construction and an understanding of where termites are likely to enter. Many of these potential entry points are hidden and difficult to access. Termite control also requires specialized equipment and the application of large amounts of termiticide. A typical termite job may require 200-plus gallons of termiticide solution injected into the soil, beneath concrete slabs, and within foundation walls. Given the substantial financial investment of one's home, termite treatment is usually a job for professionals. A possible exception would be if a mailbox post, sandbox or similar outdoor wood object not attached to the structure was infested. Q: How do I choose a pest control firm? Why is there such a difference in price? A: These are complex questions. In brief, the company should be licensed by your local regulatory agency (for instance, a state Department of Agriculture), and certified by permit to operate in your municipality. Membership in your state's Pest Control Association or the National Pest Control Association suggests that a company is an established firm with access to technical and training information needed to do the job correctly. As with any service company, references are invaluable. Consider calling 2-3 companies. Requesting inspections and estimates from more than one company will substantiate the extent of your termite problem and allow you to compare services. Companies offer different types of warranties or service agreements. At Regional Pest Management, we are confident that our GUARANTEE and 5-STAR SERVICE is unmatched by other companies you may meet. Q: How can I determine if I'm getting a proper treatment? A: There are many elements to a quality termite job. The inspection should be thorough, with a diagram of the structure indicating location(s) of termite activity, observable damage, and types of treatment techniques that will be performed. Treatment techniques include soil trenching, rodding, and drilling of slabs and foundations. Two of the most useful "quality assurance indicators" measurable by homeowners are amount (gallons) of termiticide applied, and spacing between holes drilled through concrete slabs. In order to achieve adequate dispersion of termiticide in the soil, gallonage must be high -- often requiring 150-200 gallons or more on an average-size home. Treatments using smaller amounts (e.g., 100 gallons or less) are less likely to provide a continuous barrier of protection in areas where termites can enter. Holes drilled through porches, patios, basement floors and concrete slabs should be spaced no more than 18 inches apart (12 inches is even better) to help provide continuous coverage when the termiticide solution is injected. Ultimately, the quality of a termite job depends less on the person who sells the job than on the individual who does the work. A safe and effective treatment requires an educated, proficient technician with years of experience, not someone who was hired a few weeks ago. Q: How long will the treatment last? Which brand of termiticide is most effective? A: Studies conducted by the U.S. Dept. of Agriculture suggest that all of the registered termiticides should control termites for at least five years if the are applied at label concentrations and rates. The actual length of control, for a given structure, will depend on such factors as thoroughness of the application, the prevailing environmental conditions, and density of termites in the area. If termites continue to be present the year following treatment, it's probably not from degradation of the termiticide -- but because termites have found an untreated gap in the chemical barrier. Regional Pest Management is authorized and licensed to apply TERMIDOR® brand termiticide where appropriate. Select this link for more information about TERMIDOR. More important than the brand of termiticide, is that the treatment be performed by an experienced technician, backed by a responsible pest control firm, which gives you responsive service and freely and openly answers all your questions and concerns - and never resorts to "scare tactics" or "pressure selling." 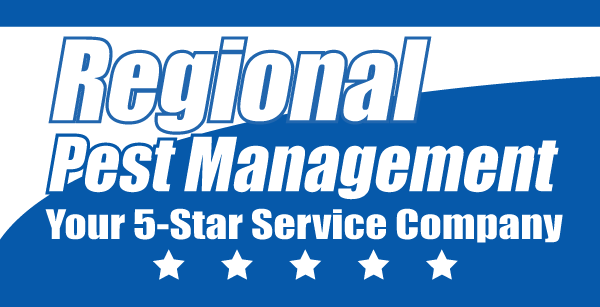 At Regional Pest Management, we pride ourselves on our customer service and on the many satisfied customers we have helped in our years of operations. Q: Will there be an odor after treatment? A: Odor is one characteristic that may differ between termite control chemicals. Some products have more odor than others; in most cases, the odor is due to solvents in the formulation rather than the active ingredient. Odor can usually be alleviated by ventilating with fans during and after treatment. If odor is a significant concern, the homeowner should know that low-odor products are available. We are proud to inform you that TERMIDOR is completely odorless. Q: Will the termite chemical harm my family or pets? A: Termiticides such as TERMIDOR are tested extensively for adverse effects on health. Before a product can be used, numerous studies must be conducted by the manufacturer and independently evaluated by the U.S. Environmental Protection Agency. Based on the current body of research, these registered termiticides present no significant hazard to humans, pets or the environment when applied according to label directions. In spite of the negligible health risk from a termite treatment, people with lingering concerns should consult their physician. Q: Does my entire house need to be treated -- or can I just pay for a "spot treatment" in areas where I see termites? A: Subterranean termite colonies can be very large; a single colony may contain a million or more individuals. Termite workers (the lifestage doing the damage) can also forage considerable distances -- in some cases, the entire length of a football field. This means that the termite colony or colonies responsible for damage may actually be in a neighbor's yard, rather than beneath the house which is infested. For these reasons, localized or "spot" treatments are generally a gamble, except in cases of retreatment. Most reputable pest control firms will not warrant spot treatments, since it is likely that termites will eventually find other points of entry into the structure. Q: Have I been "cheated" if termites continue to infest my house after treatment? A: Not necessarily. Unlike other services such as plumbing or electrical work, termite control involves living creatures. The best efforts may fail at times because termites are able to find their way through small untreated gaps in the soil. The intent is to establish a continuous and impenetrable chemical barrier in the soil -- but this is almost impossible to achieve in actual practice. Termites can penetrate through untreated gaps as small as 1/64-inch (as narrow as pencil lead) in the soil. The key, therefore, is to hire a pest control firm employing knowledgeable and thorough technicians. Companies will usually return and retreat affected area(s) at no additional charge provided the service agreement is purchased and maintained. At Regional Pest Management, we GUARANTEE your satisfaction and warranty our work. Q: Isn't there a termite control procedure utilizing baits rather than termiticides? A: Many companies use termite baits as an alternative to conventional (barrier) treatments. The baits consist of paper, cardboard, or other "termite-friendly" food, combined with a slow-acting substance lethal to termites. Some bait products are installed below ground out in the yard, whereas others are placed within the structure in the vicinity of active termite shelter tubes. Foraging termites consume the bait and share it with their nestmates, resulting in a gradual decline in termite numbers. Some baits may even, over time, eradicate entire termite colonies. On some properties, baits may constitute the only form of treatment; on others, they may be supplemented with either a partial or complete liquid (barrier) application to the soil. Baits require the termites to actually find the food; this is very hard to guarantee if there is more than one set of termite shelter tubes. Baiting programs take time to work: often as long as 18 months. Damage to structures continues until all termites are eradicated.